If you watch YouTube and have noticed lately that it crashes, here’s some suggestions. Make sure that you have the latest version of Flash. You can get download this for free at http://get.adobe.com/flashplayer/ and when you do, uncheck the “Optional Offer for McAfee Security Scan.” McAfee isn’t very good, especially if you shop or do banking online. If all else fails: surrender and download Google’s Chrome browser. It’s a big file, and I’m not a fan of it, but it does make YouTube (also owned by Google) much easier to use. Coincidence? 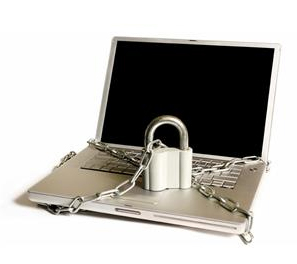 Hmmm..
You can visit the safest sites on the web, but online security starts with your own habits. One habit you should pick up ASAP is clearing your browser’s cache regularly when you’re online. It’s especially important after you check your email, make an online purchase, or log into any site, particularly those involving financial or medical information. And, don’t store passwords online or in emails. It’s better to keep a Word or Notepad file with all of your user ID’s and passwords. Doing so gets rid of useless junk as well as nasty tracking cookies that monitor every site you visit and come back to haunt you through, often in the form of spam. I always set my computer to “Classics View” if I can. Your PC may be configured different. Mac’s are different, but it’s the same basic principal. It’s also a good idea to clean out your computer every time you shut down your browser after a financial transaction. 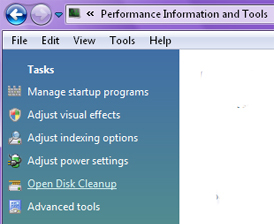 Do this by going to your Control Panel, and then using “Tools to Improve Performance” and “Open Disk Cleanup.” The specifics vary depending on which version of Windows you have. It’s not hard to do, but you may need to check you may need to look at your computer’s Help to find out how to do this VERY important task. To get help, click on the Windows Icon and type “Help” into the area with the magnifying glass. Not only will you be shocked at how much garbage you collect from a half hour or so online, you’re clearing out useless stuff that only makes your computer work more slowly and leaves you vulnerable. You should be using a good security/anti-virus software and to me that means Norton, not free software that comes with various applications or programs. This entry was posted in Uncategorized by SolarLightingSmart. Bookmark the permalink.